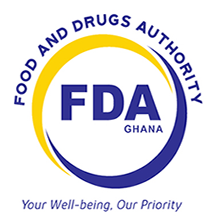 The Food and Drugs Authority (FDA) in collaboration with the International Federation of Women Lawyers (FIDA) and the University of Ghana (UG) have held an inception workshop for the project “Public Education and Economic Empowerment Program for Street Food Vendors Through Regulation”. The project is being piloted for a year using the for food vendors at the University of Ghana, Legon, in Accra. In her opening address, the Chief Executive Officer (CEO) of the FDA, Mrs. Delese Darko said, street foods pose a major health risks due to the lack of basic infrastructure and enforcement of relevant laws. Making reference to a study conducted in Accra on the microbial quality of street foods, Mrs. Darko stated that, there were high levels of microbial contamination in some of the food sampled. Mrs. Darko further revealed that almost 40 percent of total food budget of low-income households and 2 percent of high-income households purchase street food which sometimes may be contaminated with foodborne diseases. Currently, the regulation of food vendors is based only on the issuance of Food Handlers’ Certificate by the Metropolitan, Municipal and District Assemblies. The FDA therefore wants to strengthen the regulation of street food business in order to empower the vendors to advocate for improved working conditions, making sure that at least 80 per cent of food vendors are educated on food safety and economic empowerment by mid-year 2019. Madam Afua Addotey, the President of FIDA, who was also present, pointed out in her address that, a World Bank report indicates that 12 percent of women income is used to pay bribes just to make a living. FIDA would therefore, make sure these women are schooled on the laws regarding their businesses so as to empower them to be economically independent. At the end of the project in December 2019, a frame work will be developed for regulating food vendors in tertiary institutions as well as the second cycle institutions nationwide.